I am the kind of guy who goes deep into the research on anything I have a big interest in. My most intense interest has always been health and fitness. As a consequence, I have always been on the leading edge and know the best way to deal with the biggest health issues that affect me as an aging male. I have done most things right but still my blood pressure has stayed a bit too high my blood glucose a bit too high. Everything took a turn for the worse when I broke my leg and had almost no activity for more than a year. Now my Blood pressure was way too high and glucose too high and fasting insulin fully in the insulin resistant category. It was time to get all this under control Since sleep apnea can cause or aggravate all of my conditions I got a free sleep apnea screening. Wow, the test results said I was walking up 14 times an hour, and blood oxygen level went as low as 82 %. Sleep apnea is a serious condition that shortens your life. If you have even the slightest suspicion that you might have it get a free screening. It’s a simple take home device. Often it’s a free screening. If it is not free in your area or you would rather do a simple screening yourself you can pick up the pulse oximeter I talk about below and do a self-screening. I was panicked by the results because I know there are major health risks from sleep apnea but I hated the idea of using a CRAP machine with a hose and mask attached to my face.Does a Permanent solution for sleep apnea exist? 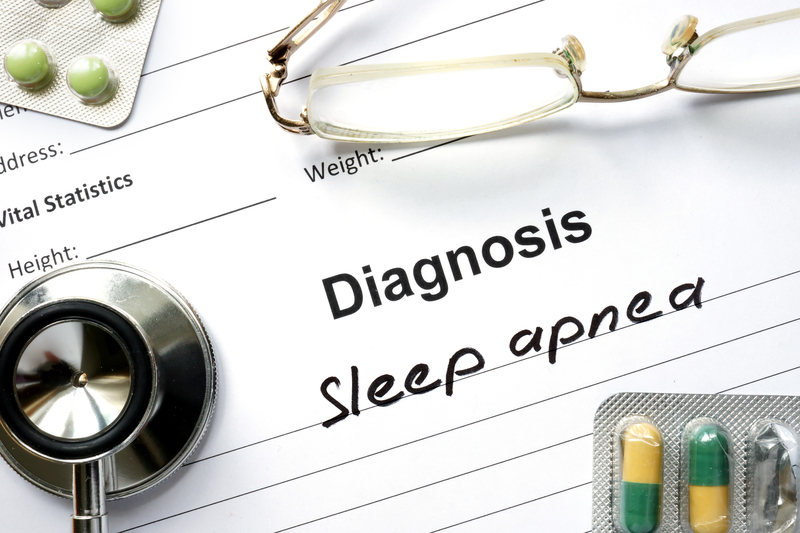 To me, a permanent solution for sleep apnea is the ultimate goal, and I for one would be willing spend a lot of time and money to have the problem fixed once and for all. I like to go on multi-night backpacking and kayaking trips and the freedom from having to bring anything along would be great. Here are the options I’m considering with their pros and cons. The first thing I needed to do was find a way to monitor the sleep apnea on my own. For this, I would need a blood oxygen monitor that was capable of recording my oxygen levels while I slept. There were lots on the market but almost none that could record while you slept. I eventually found one inexpensive one that could record for 24 hours and have software designed to monitor sleep apnea events also a few people had compared results from this unit to a hospital unit and found it accurate. This is the one I purchased CMS 50D+ Blue Finger Pulse Oximeter with USB and Sofware I have checked the accuracy of this unit against the high-end sleep labs unit the results are almost identical. The first night I taped it to my finger, and it stayed on all night. When I reviewed the results in the morning, It wasn’t encouraging. My blood oxygen level dipped below 88 seven times and once went as low as 72 % and my pulse shot up to 125. So I had a problem. The second night I had some alcoholic drinks before bed I wanted to see if it would make it much worse. Surprisingly it didn’t at all if anything my blood oxygen levels were a little better. Now that I have a way of measuring my progress setup I will be testing the cures below and updating as I go. First, I tried one of the recommendations for a home fix for improving obstructive sleep apnea raising the head of your bed up 6 to 8 inches. Not just your head with pillows but the whole bed on an angle. In my case, I used books to prop it up and had to put some under the center bed supports too. This had a small positive effect but certainly not a cure. I have now had a free trial of the Resmed 9 CRAP machine for a month. This is one piece of advanced hardware it keeps track of when you stop breathing and adjust air pressure to the amount needed, it has heated tube that has adjustable temperature and a humidifier that is adjustable too. The problem I have been having with it is my mouth opens while im sleeping and then air pours out waking me up. We tried adjusting air pressure and a chin strap to keep my mouth shut. I have also tried a full face mask and several other masks most were uncomfortable, and some leaked too much. In the end, the best result was with a nasal only mask the Philips Respironics Nuance Pro Nasal Pillow System . I really liked this mask compared to the rest the nasal pillow sits very flush and the tube attaches on the top of your head, so it gets in the way a lot less than the normal in the front attachment. If you are already using a CPAP machine, I strongly recommend trying it next time use change masks. After a month of using the CPAP machine. My sleep apnea has improved from 14 events per hour and 2 times per hour oxygen bellow 88% with a low of 72% before and now six events per hour (5 or less is considered normal) and blood oxygen staying about 90% all night. This will be the gold standard to measure other cures against. I can see why compliance is so poor with the CPAP machines its no fun being attached to a machine all night and sometimes when I get up in the night for a bathroom visit etc I just dont bother putting it back on. The clinic giving me the free trial of this machine charges $2499 for the device with mask and humidifier. If covered by insurance great but if insurance isn’t covering it I would have to to get it from Amazon for $1000 ResMed S9 VPAP Auto . 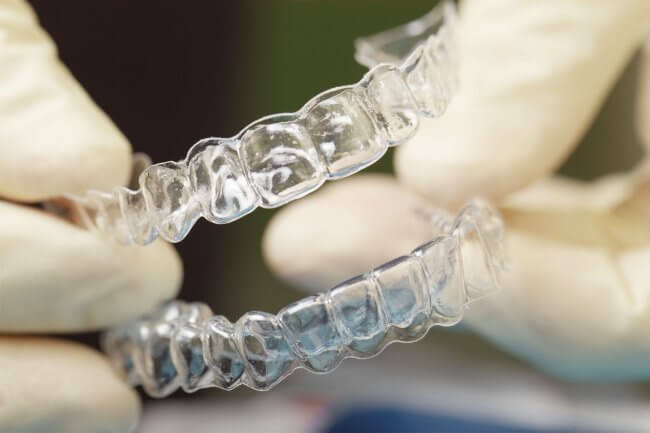 Oral Devices for the treatment of sleep apnea work by moving the jaw forward and down the custom devices fitted by a dentist are very thin and comfortable. But there is a relatively new pneumopedics on the market that moves your jaw forward for immediate sleep improvement in mild to moderate sleep apnea. But at the same time, it applies a small pressure to widen your pallet over time this is exciting because it widens your airway for a possible permanent sleep apnea solution! This is how it is suppose to work. Pneumopedics® is the process of non-surgical airway remodeling Research shows that changes in the spatial relations of the jaws invokes activation of various genes. In other words, when the position of the jaws is changed using the device, the genes respond to that change. For this a trained dentist supplies what they call a DNA device that is worn every day in the evening and while sleeping and over time it remodels your airway passages. It is also used as an alternative to regular braces for cosmetic reasons even to improve facial symmetry. I have had a consultation with a Dentist that works with this device and the regular sleep apnea devices. Many extended health insurance companies cover these devices but mine does not. I am still considering this option. It will cost me $2600 out of pocket. Laser treatment looks like it could be a promising option. It’s a little bit too early to get a lot of information on the long-term effectiveness, but the way it works is laser treatments are used to stiffen the soft pallet areas, so they don’t fall back and block your airways when sleeping. It’s unlikely that this would cure severe sleep apnea, but it may be an option to try before under the knife surgery. I won’t be trying this out at least yet if anyone has any experience they can share, please comment below or contact me. Under the knife surgery has a lot of potential downsides. As with all surgery, there is always the risk of complications. And of course, you will have to take time off work for the recovery. Most people do see a reduction in sleep apnea or a complete cure unfortunately very frequently sometime down the road the symptoms return. As a result, I will not take surgery off the table as an option, but I would explore other options first. The number of choices in this category is staggering then b ranging in price from $20 to $400. Most have some kind of a custom fit you use by heating in very hot water and then you bite down. Some have an adjustment for how far forward the lower jaw is shifted.